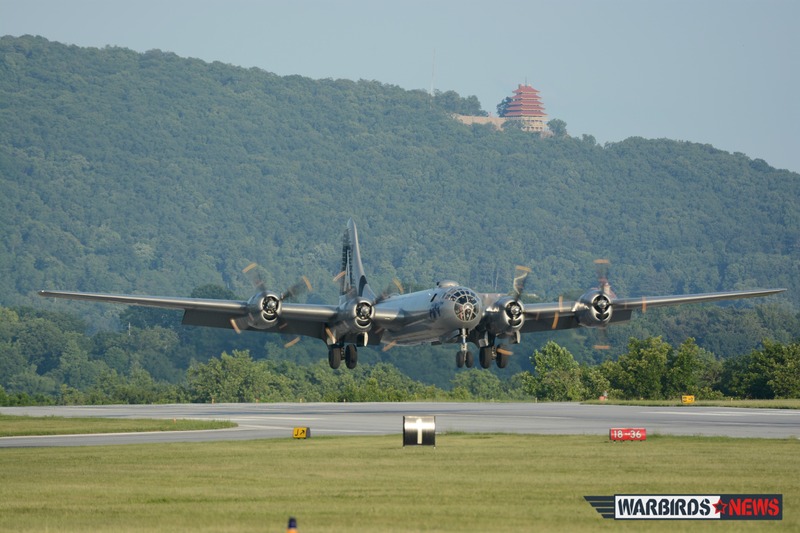 PRESS RELEASE – The Commemorative Air Force’s (CAF) iconic Boeing B-29 Superfortress bomber, FIFI, along with other AirPower Tour aircraft, starts a 24 city, 6 week tour in Birmingham, AL May 18-22. She will also perform in two air shows prior to the start of the tour, the Barksdale AFB Defenders of Liberty Air Show April 30-May 1 and the Spirit of St. Louis Air Show May 14-15. 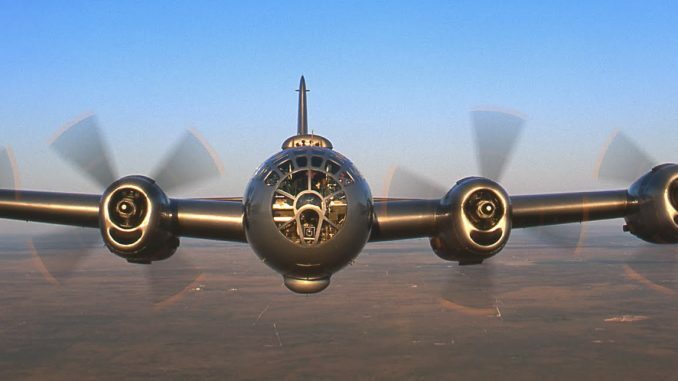 FIFI is currently the only flying B-29 Superfortress in the world. While on tour the B-29 will be accompanied at many stops by the P-51 Mustang Gunfighter and a variety of other World War II aircraft including the beloved C-45 Expeditor, Bucket of Bolts; a T-6 Texan; a PT-13 Stearman; and others. Each year the CAF AirPower History Tour provides powerful history lessons to audiences across the United States. Their collection of flying military aircraft brings the sights, smells, sounds and stories of World War II aviation to the public at large. Visitors can view the aircraft up close, watch them fly and purchase rides in many of them. Advance ride reservations can be made at AirPowerTour.org. The Boeing B-29 Superfortress, first flown in 1942, began active service in 1944 and is best known as the aircraft whose missions over Japan helped bring about the end of World War II. It was designed as a replacement for the older B-17s and B-24s, with longer range and greater bomb loads. The B-29 was also used in the Korean War in the early 1950s and was a staple of the U.S. Air Force until the late 1950s. Please come to The Wings Over Mort Georgia in Rome, GA!!!! What do you mean by Hybrid engines…do you plug FIFI in at night? ?